Whitepod Eco Retreat: This incredible hotel found in Switzerland is the ultimate place to get away from it all. 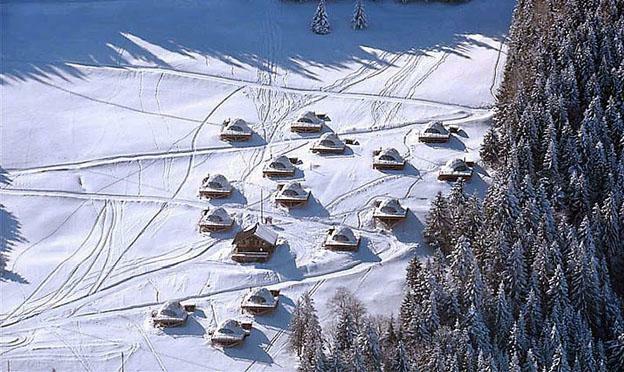 Located in the Alpine Mountains, the Whitepod Eco Retreat can’t be reached by a plane or a taxi. Instead, guests can choose to use snow shoes, skis or a dog sled to reach their individual accommodations. With a warming stove, spa, in room massages and lavish furniture, this oasis is anything but roughing it. Live among the mountains, but still enjoy the comforts of home and deliciously prepared meals in the most incredible natural scenery. Chumbe Island Coral Park: Located in Zanzibar, Tanzania, the Chumbe Island Coral Park is the place to stay after a day of diving or snorkeling through the incredible coral reefs in the sea. Their Eco-friendly bungalows collect rainwater and then heat them through solar means to provide warm showers to guests, and are specially designed to need little heating or cooling. Great efforts are taken to create a welcoming environment that does not harm the nearby coral reefs. Adrere Amellal: The Berber people of Egypt have long lived life as nomads, and bring their primitive lifestyle to guests in this incredible desert accommodation. Built to resemble the natural rock structures it surrounds, the hotel uses no electricity, instead lighting the rooms with beeswax candles. You’ll enjoy gourmet meals, but all the ingredients are purchased locally from organic farmers at a fair market value. 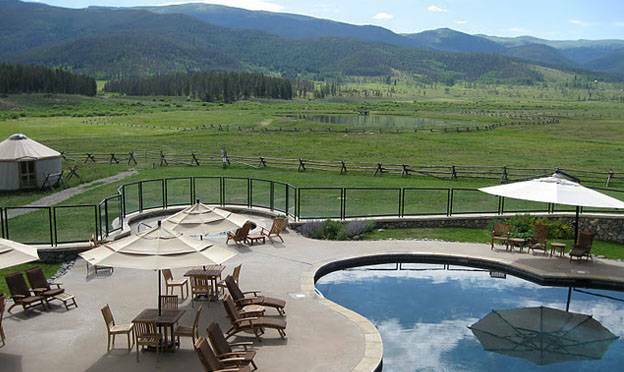 Devil’s Thumb Ranch: This Colorado resort is the ideal destination for those travelers who want to experience the best of outdoor recreation while sticking to their environmentally friendly values. Enjoy skiing and snowboarding in the winter, along with hiking, mountain biking and kayaking in the summer. Their buildings are heated with geothermal heat, recycle, and built the resort using renewable resources. Many of the meals prepared on site come from local farmers, encouraging the slow movement in food and the use of seasonal organic ingredients. Gyreum Ecolodge: This Irish accommodation is built mostly underground, as a way to stabilize the temperature and not need additional heating. The rooms are simply outfitted with a nod to wasting less, but are adequate and comfortable. The resort uses solar and wind power for fuel, and is entirely constructed from renewable resources. It was been noted in the Eco-friendly community for its accomplishment, receiving Europe’s first EU Eco Label, among others. With so many wonderful Eco-hotels to choose from, it is easy to stick to your environmentally friendly ethics even when traveling abroad. Your only real struggle is deciding which of these marvellous accommodations to select! Sarah Rogers, the author of “The top 5 Eco hotels in the world” works for the Primrose Valley Hotel in St Ives Cornwall. The Primrose Valley hotel sit within a collection of St Ives hotels that are all of high quality and wonderfully luxurious. If you are thinking of taking a short break in St Ives then look no further. I really liked the hotels in the Swiss ski resort, they kind of look like individual chalet hotels and the fact you have to get there on your own steam makes the hotel even more exclusive. Thanks for sharing that with us. I wonder if the hotel operates as a ski resort or luxury spa?